This crowd knew how to party. Emphasis here on crowd. 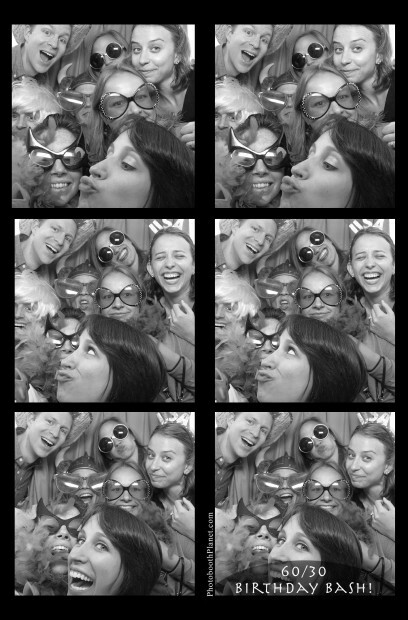 Many people assume we can only fit two or three folks into a Photobooth Planet photo booth. Oh no. We have had 8,9, and 10+ cram in there. Makes for a great photo and an authentic moment of “closeness” for the guests. Here, too, you can see the upside and downside of having a lot of props. Funny pic, but you can’t really tell who the people wearing props are. For a birthday party – sure…go nuts with the props. But for a wedding, minimal props is the way to go. Your guests are dressed to the nines already. And on your ten year anniversary when you pull out the photo guestbook we created for you at your wedding reception, you are going to want to see who was there – and what they actually looked like way back then. Anyway, enough about props. This post was intended to illustrate that we can fit a lot more people in our booths than you might at first think.